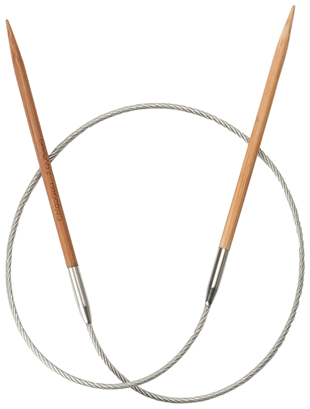 Our 16″ (40 cm) patina, bamboo circulars have fantastic joins and pliable, clear, nylon cables. They have a nickel-plated, copper join. Sizes 3 (3.25 mm) and larger are crimped to guarantee no separation AND they swivel! Sizes 0 (2 mm) through 2.5 (3 mm) have the same memory-free cable as our RED circulars and TWIST cables! Needle size is permanently laser imprinted on each circular. 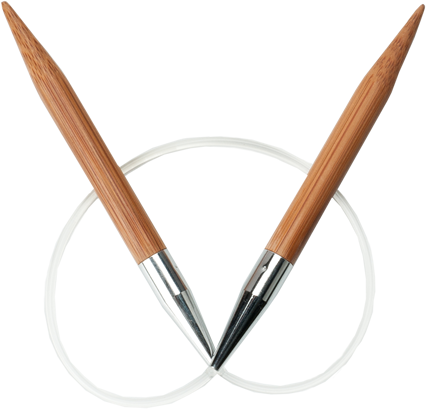 Bamboo circulars are available in the patina color only.